Russia has become a popular destination with travelers. The country has some amazing architecture, museums, history, natural wonders, and more. You can see the Temple of All Religions, the Winter Palace, Hermitage Museum, Lenin’s Mausoleum, Red Square, the Kremlin, and more. In order to drive in Russia, you need to have a passport with a valid Russian visa, a national driving permit, and the international translation of the driving permit. You also need to have the rental paperwork and information, as well as third party insurance. 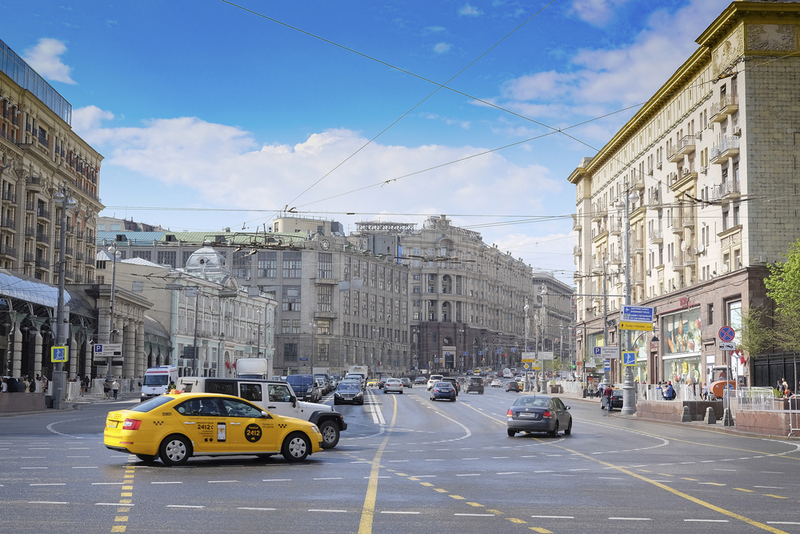 While renting a vehicle in Russia can help you get around much easier, it is important to familiarize yourself with the basics of the traffic rules at least. All of the vehicles in Russia need to be equipped with a warning triangle, headlamp converters, a first aid kit, and a fire extinguisher. When renting a vehicle, make sure that they have each of these items. The minimum driving age in Russia is 18 years old, but some rental companies will only rent to drivers who are in their twenties and older. When you speak with the rental agency, be sure to get their contact information including an emergency number just in case you need to call them. The road conditions in Russia are quite varied. When you are near the larger cities, such as Moscow and St. Petersburg, you will find that the roads in the cities and the surrounding areas are generally in good repair. As you start to head to remote areas and rural areas, the condition of the roads can deteriorate. Driving in the winter can be particularly tricky thanks to the ice and snow. In Russia, you will drive on the right side of the road, and pass on the left side. You are not allowed to cross double solid white lines in the center. If you want to make a turn or a U-turn, you are required to proceed until you find a broken white line on your side of the road. Drivers are not allowed to make right turns on red. When you are at intersections, the large white arrows will show you which way you can turn. If there are no arrows, you are not allowed to make turns. The driver and all passengers in the vehicle need to have seatbelts on. Many of the drivers in Russia do not heed the traffic laws, and driving there can be quite dangerous. Dashboard cameras in passenger vehicles are commonplace today, as insurance fraud has become a problem in the country. You must always be wary of what the other drivers and pedestrians are doing. They may not always use their turn signals, and they may not always stop at traffic lights. Always follow the posted speed limits in Russia. They are as follows on the various types of roads you will encounter. Speed cameras and police officers are always on the lookout for speeders and they will find you. Still, having a rental car can make getting around much faster and easier.